Looking back at my gaming experiences growing up, how I started collecting and information about my site. Its hard to think back to the first video game I ever got my hands on. Perhaps it was some educational game at my first school. 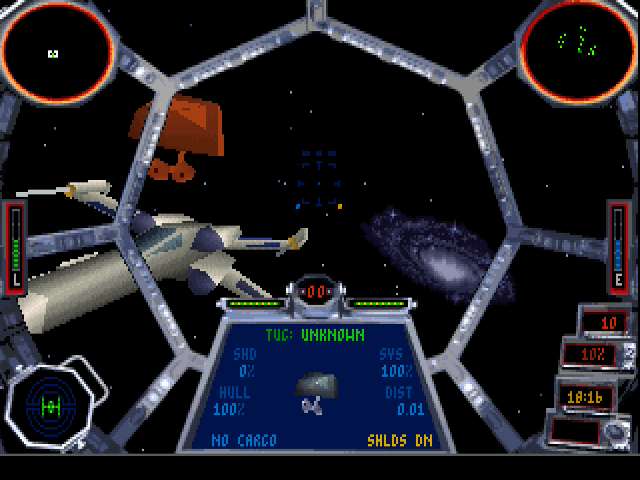 I also seem to remember playing an arcade game, possibly Sega Choplifter at a hotel run by friends of our family. They had the keys and could add as many credits as we wanted lol. My first proper games console was a second hand Nintendo Entertainment System sometime around 1991. I had it for a short time before getting a Game Gear the next year. 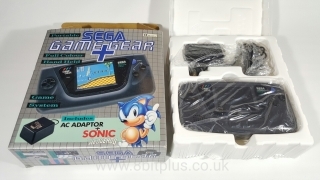 That Game Gear was probably one of the most amazing gifts I’ve ever received. I remember that day well, opening it, putting in some new batteries and slotting in Sonic 2. Amazing. That’s also the point I became a Sega Fanboy. 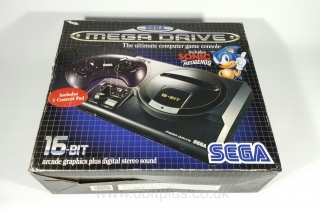 From then all I would go on about was wanting a Mega Drive to play Sonic on the TV. I got the Mega Drive…, then the Mega CD… then the 32X… and still played my Game Gear out and about.. Good times. Its hard to describe how amazing it was growing up in the 90’s with all the hype around Sega and Nintendo. TV shows like Games Master and Bad Influence were showing off the latest games, and before the internet were the best way of seeing footage of games. I also had a huge stack of Video Game magazines from that time. 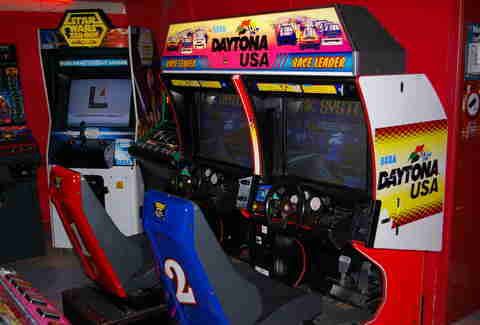 This was also before the decline of the arcades. Arcades actually had games to play, not like nowadays where they have gone back to games of chance to win tickets. Through the 90’s I also made time between the Sega consoles to experience another deeply loved system, the Amiga. First starting with the Amiga 500, then later upgrading to the A1200. 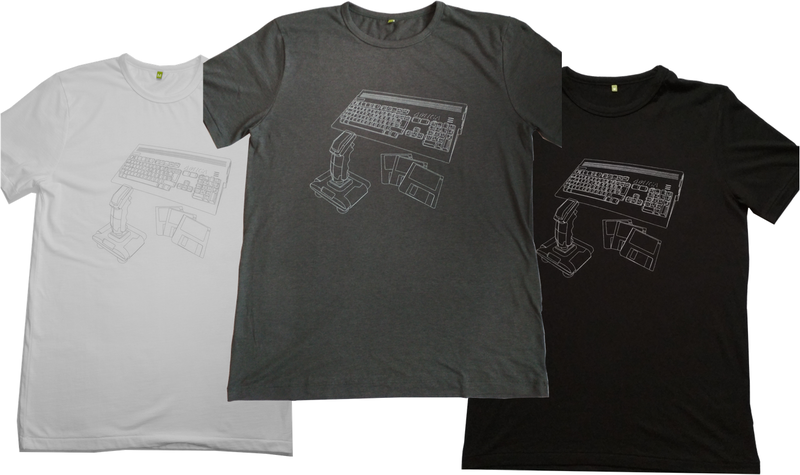 I loved the idea of an affordable, expand, customizable computer I could take apart and upgrade. Games were cheap (mostly because of the rampant piracy) and I collected a shelf full of those big box games. Only wish I still had them. 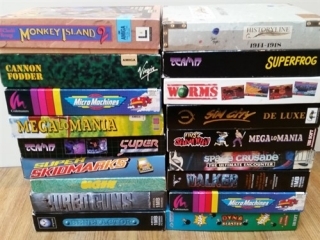 Amiga was a great balance between games console and computer, and I enjoyed adventure and simulator games that didn’t really hit the 16bit consoles. The best thing was having two friends at school who also loved the Amiga, we would spend time (sometimes in lessons) talking about and swapping games. Around the mid 90’s we got the first Family PC running Windows 3.11 . A second hand generic box machine that was sold off from a university where my Uncle worked. After I equipped it with a Sound Blaster I was able to experience a few PC games. I mostly played X- Wing and Tie Fighter for hours on end. Eventually I got my own PC and played many more games on that. 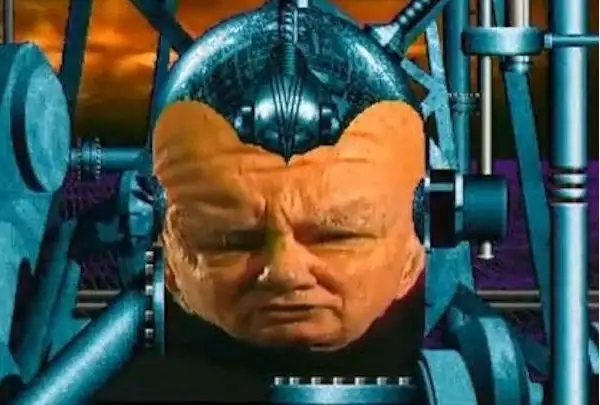 As time went on I branched out to play games on other systems such as Nintendo and Sony, but I was also interested in the other systems like 3DO, Jaguar and Neo-Geo. 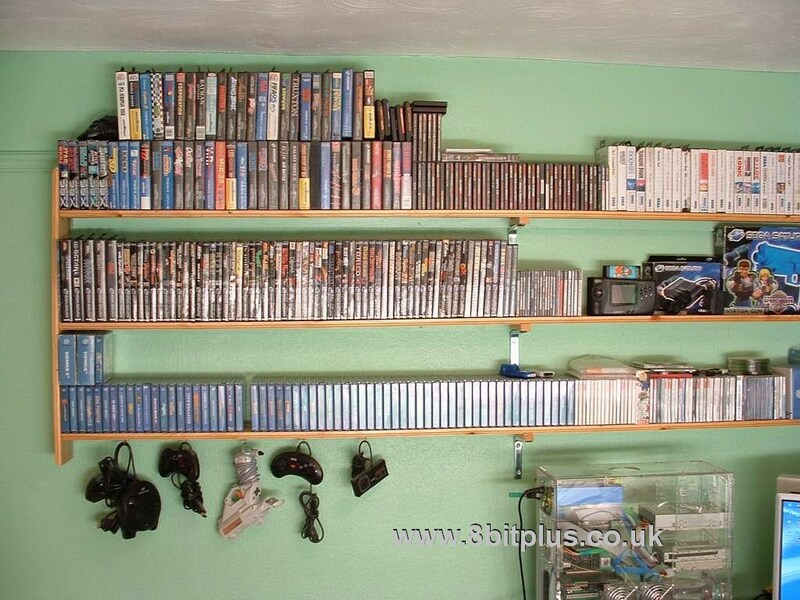 I devoted all the money I could spare back then do building an amazing game collection. 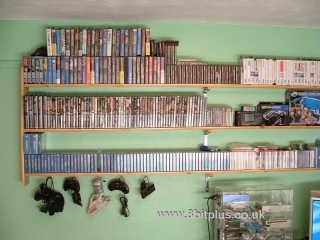 This really took off when I had my own job, and I started to fill my room with games systems. Mostly Sega at first, then branching out to other interesting systems. Much later I dabbled with arcade machines. I started off with a MAME cabinet, but decided to stick with real hardware when possible. Now I have several cabinets I’ve restored. Now here I am, my own home and family, but I still love the systems and games I grew up with. I still enjoy these games as I have for so many years and will do for a long tome to come. 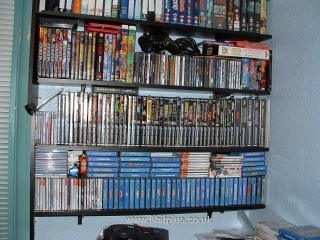 I collect games and games consoles. At first it was a case of not selling or trading my old games. I would never want to part with them. As time went on this turned to collecting. I’d go the local sales, second hand game shops and boot fairs (that’s like a UK version of a flea market btw) looking for more games and spending all my pocket money. Later our family moved and I had a a chance to display a much larger and growing collection. This was around 2006 I believe. Not long after this my collection outgrew the available space again. Next I moved my collection up to the newly converted roof space of my parents house . unfortunately I have very few photos of my collection from then. Along with the games, my collection of boxed consoles was also growing at a fast rate. I selected a very good point to start collecting. 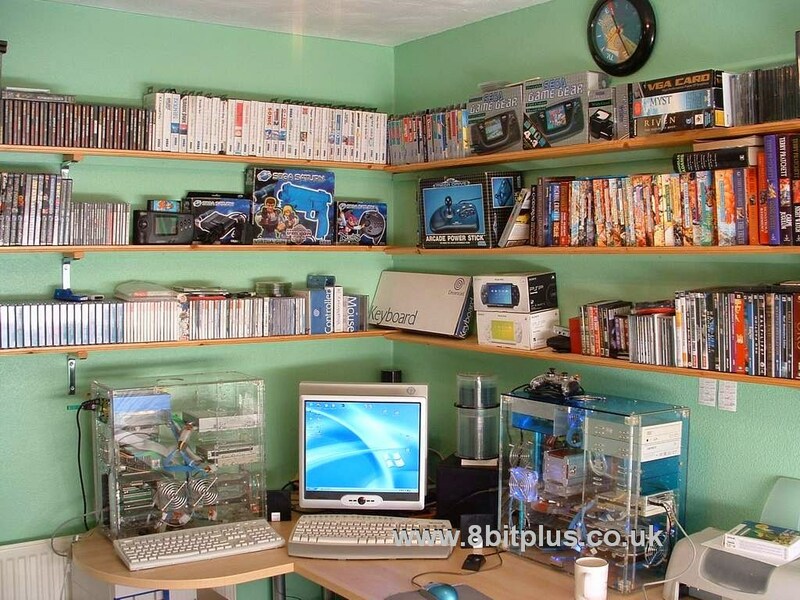 Retro gaming hadn’t entirely exploded onto the main scene and most systems could be found on eBay for a good price. when I was able to afford my own home, I made sure to bring my whole collection along. Its mostly just in secure storage boxes now. One day I hope to display it again. What is my favourite console and games? that’s a hard one… very hard. Particularly as someones favourite game might not be on the same platform. 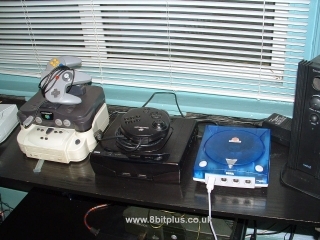 I’d say (if pushed) my favourite console is the Sega Saturn. Explaining is also hard, as many people see this console as a failure and a side note in gaming. 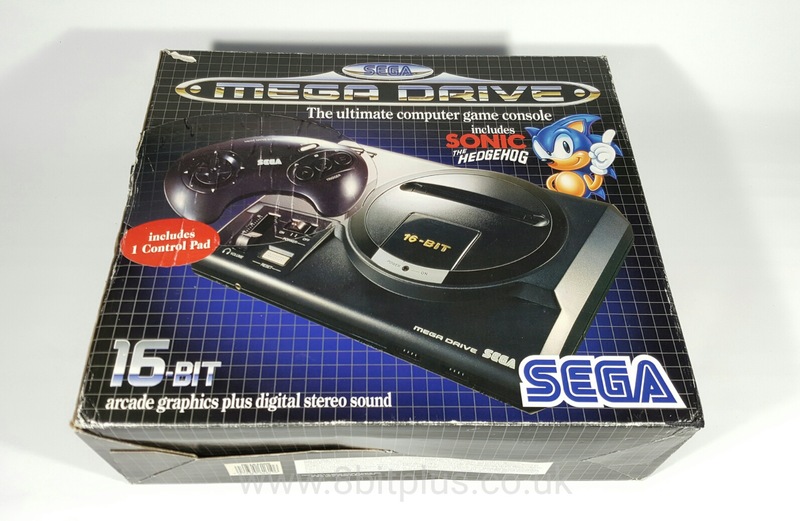 I remember as a kid, reading all the Sega magazines and getting really excited about the next big console release to follow the 16-bit Mega Drive. All the magazines were showing off the possibilities of amazing arcade ports, and the amazing future of 3D games. The Jump from 16-bit to 32-bit was huge. Bigger than at any other time in gaming history, something people seem to forget now in a age of photo-realistic graphics . When I got a Saturn in 1995 with a selection of games, I wasn’t disappointing at all. It made the Mega Drive and everything else I owned look very dated. I stuck with the Saturn all through its life even in the face of the PlayStation and N64 (both great systems btw,) picking up new games whenever I could find them. Later I was able to enjoy a wealth of Japanese import games that I’d only ever read about in the Magazines. 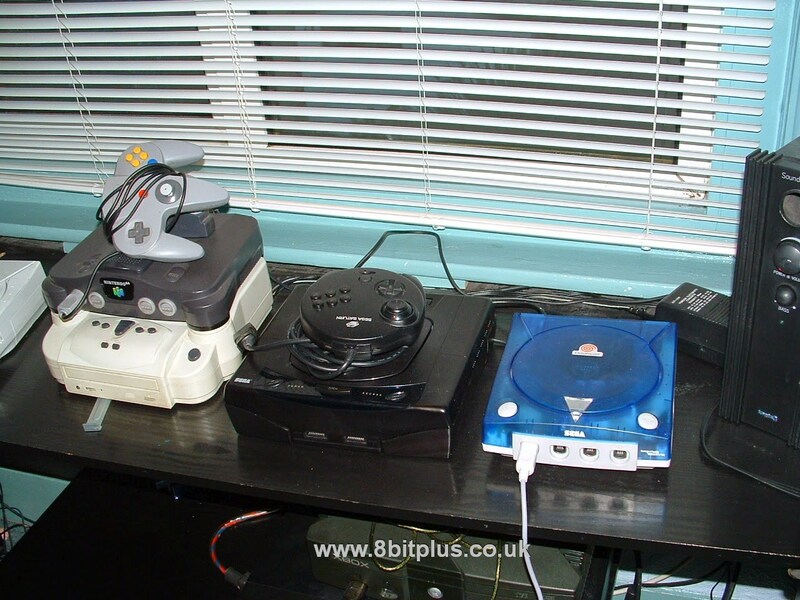 Even after I got newer consoles like the Dreamcast, the Saturn was always left setup in my room ready to play. I don’t think I’ll ever get as excited about consoles again as I did for the Saturn. 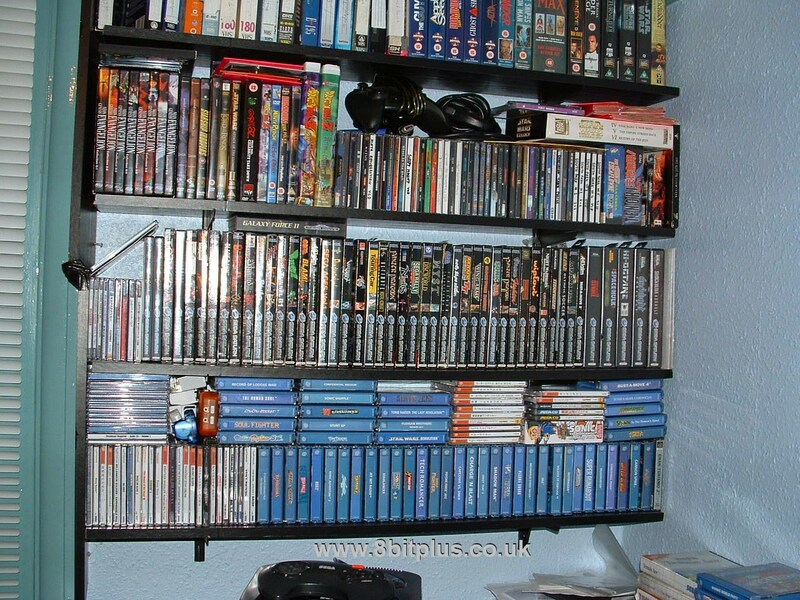 When I think of my favourite games, its hard to narrow them down and they span many systems. Top of the list would be the Sonic the Hedgehog 16-bit era games. That’s an easy win and needs no explaining. Same goes for the early Mario games, and the later Mario 64 and of course Zelda. I also very much enjoyed the Myst series (especially III and IV) and played them the PC. I’ve always had patience for point and click adventure games. The King of Fighters and Street Fighter and Dark Stalker 16-bit arcade series. The Neo-Geo and CPS-2 arcade systems have so much character in their characters. Metal Slug 1,2 and 3 are also favourites here. On the Amiga I have a great fondness of Worms, Cannon fodder and games like Monkey Island. 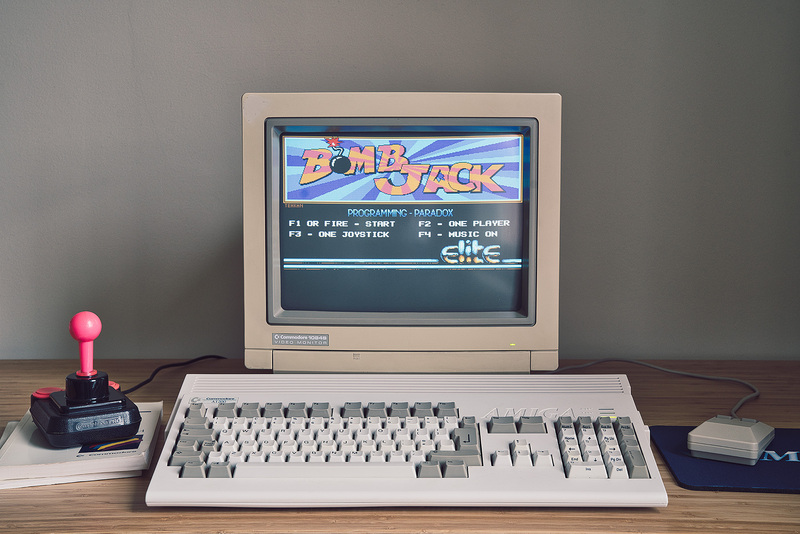 So many classics on the Amiga. As for Saturn, where can I start. 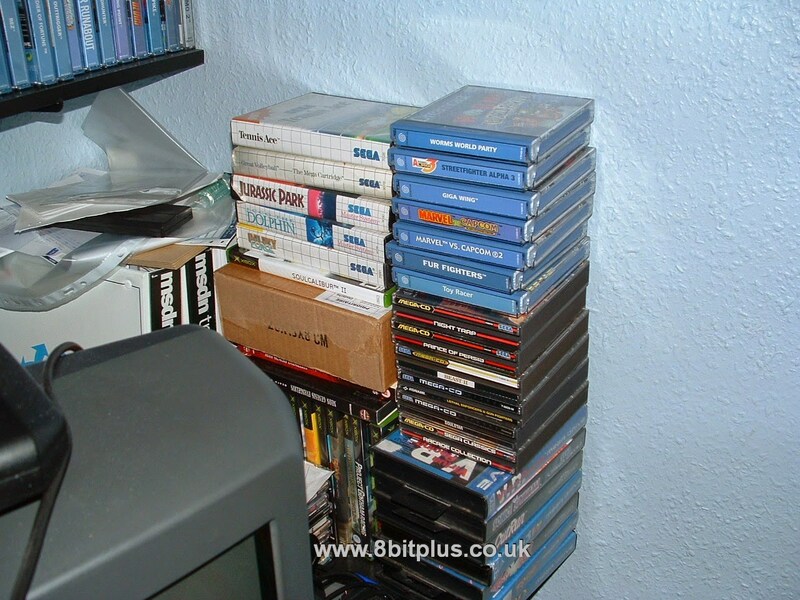 Sega Rally, Nights, Panzer Dragoon series, Street Fighter Alpha and so many more. Dreamcast. Sonic Adventure, Crazy Taxi, Shenmue and Jet Set Radio. I started www.8bitplus.co.uk sometime around 2008. Initially I wanted a site to show off some of my projects I was working on, and consoles of my own that I repaired. Later I used my site as a gallery to show off my ever growing collection of consoles, games and arcade hardware. This is still remains the main missions for my site. Originally I created the site using a software package called Serif Web plus X2. This was an easy introduction to web design that didn’t need any custom coding and a more or less desktop publisher approach to page creation. I later ditched this and moved to WorkPress for its easy page and content management. A couple of years ago I started getting requests from people to help them out with their own consoles. It became obvious that the increased popularity of retro gaming was leading to a requirement of people with repair and upgrade knowledge. So now I offer my services for a huge list of these common requests. Now I spend most of my time doing repairs, servicing and upgraded on a variety of classic consoles and computers. I might not get as much time in my life as I’d like to play all these amazing games, but perhaps I will again one day.